Good timing here as the Democrats currently have an anti-semitism problem. Multiple democrats have made anti-semetic comments recently. 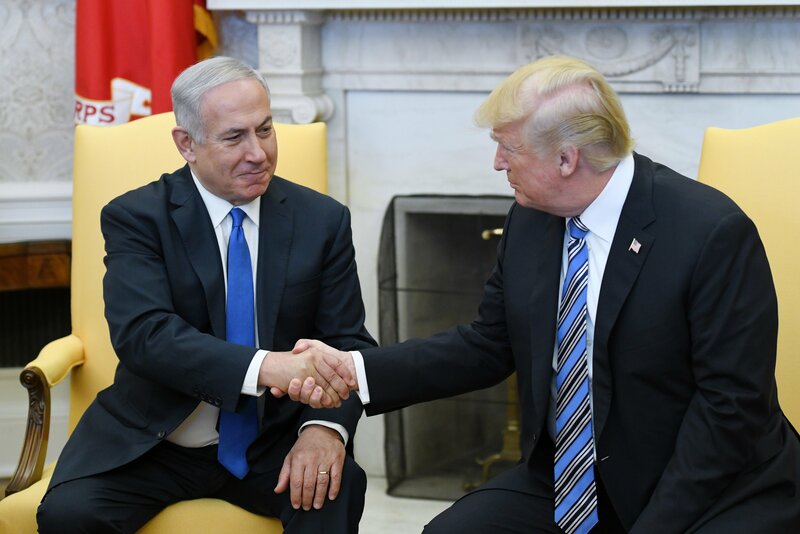 Netanyahu recently won reelection in Israel and has worked well with Trump. So its important to get these issues addressed. Damn do you start a new thread everytime this dude farts. This will only feed TDS. ben shapiro is not a jew. shapiro is a european name, sounds italian. Ben Shapiro is Jewish. Shapiro is an Eastern European name and is the yiddish name of Speyer, Germany. Knightowl32 and AltLightPride like this. it doesnt sound german, sound latin, possibly spanish, more likely italian but definately not hebrew lol either way, you just admitted its a european name and not african. Perhaps some dems will reach out to attend the meeting as well? It is not Italian, Latin, Spanish. It is in fact completely Jewish....mainly Polish. Edit: who in their right mind would think it was African? ok. that still isnt making him a hebrew. the hebrews/jews are an african people both spiritually and geographically, however you want to look at it. Like the black Isrealite dudes from the Covington incident?! the covington incident with the White European Catholics has nothing to do with this topic. He's the most Jewey Jew there is. He's like a king Jew=) People who call him a Nazi or alt-right are missing brain parts. He's got homophobic tendencies due to religion, but he still doesn't give a crap what anyone does as long as it doesn't hurt anyone else and has NEVER implied he wants to impose his will or beliefs on others. Rational, educated, smart. Its a main reason his detractors never want to get on stage with him or debate him. Because he'll tear them apart. His detractors are low info morons. You can disagree with him. Sure, thats fine. But his views are backed up. But alt-right or dangerous? Its like they never actually listened to him speak. roorooroo and US Conservative like this. He's the most Jewey Jew there is. He's like a king Jew=) . so hes a fraud then. Simmer down guy, just trying to get some clarification on these African Jews you're talking about. the cookers not even turned on yet.. This is why Trump invited these leaders to the white house. Sounds like you could use a brew there homie. US Conservative and Esau like this. I'm not sure where you came up with that. Hebrews are descendants of Jacob, grandson of Abraham, and are the original Jewish people that settled in what is now known as Israel/Palestine after the exodus from Egypt.....though there are African Hebrews, a group founded in Chicago in the late 1960's. So, since their ancestors may have been slaves in Africa, then that means they are African "both spiritually and geographically"? Since they are no longer in Africa and have not been for 3000 years, I don't see how "geographically" work.....and I have no idea what African "spiritually" even means. "out of Africa have i called my son" that is the messiah right there, quoted from the scripture. thats from hosea and matthew never mind the geographical narrative brought forward by scientists that puts Israel, NEVER MIND EGYPT [the nation yall love to remove from africa] in Africa. Don't even bother, these SJW's perform amazing feats of revisionist mental gymnastics to "make a point". And they're not wrong of course, it's just that you're not 'woke' enough. US Conservative, Nunya D. and Esau like this. I mean, is she a precious gift, or what? ModCon and US Conservative like this.